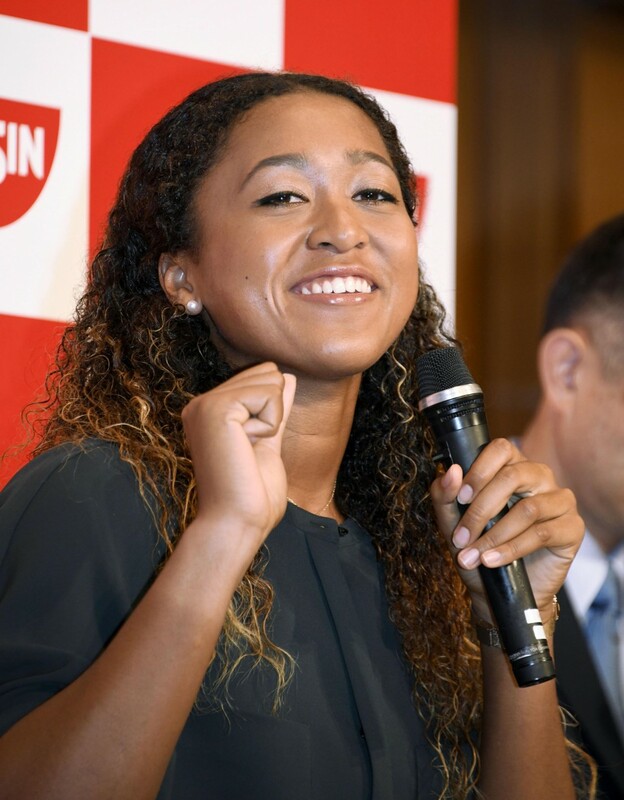 Newly-crowned U.S. Open women's singles champion Naomi Osaka arrived in Japan Thursday to a hero's welcome. The 20-year-old, who stunned childhood idol and 23-time Grand Slam winner Serena Williams in straight sets in the U.S. Open final in New York on Saturday, was welcomed early in the morning by dozens of fans and members of the media at Tokyo's Haneda airport. "When I came here and there were a lot of people waiting at the airport, I was really surprised and happy," Osaka said at a press conference in Yokohama later Thursday morning. "I appreciate all the support." 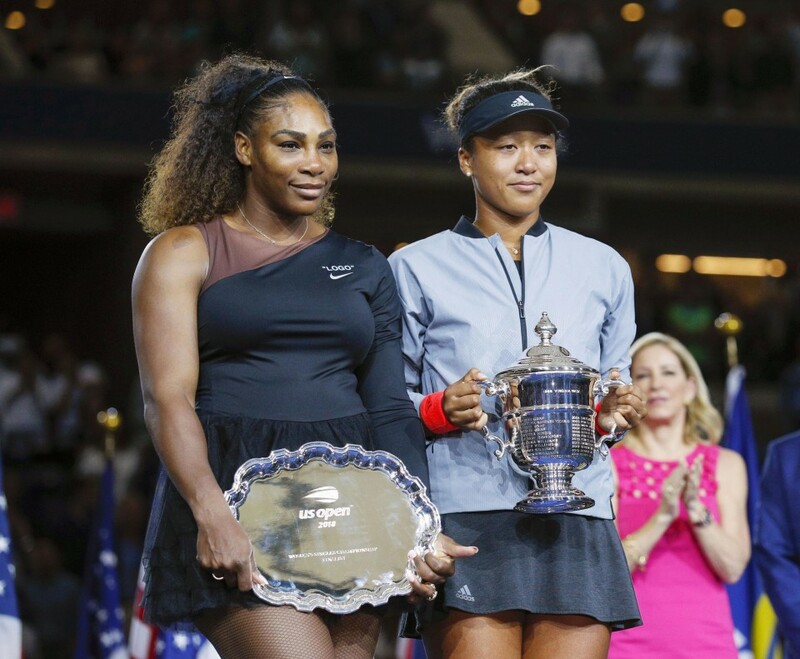 In winning the U.S. Open, Osaka, who is of Japanese and Haitian descent, became the first Japanese player, man or woman, to win a Grand Slam singles title. Her victory in the final, however, was marred by controversy. Williams was handed a "game penalty" after arguing with the umpire, a confrontation sparked after he warned her for receiving coaching from her box. He then docked her a point for smashing her racket midway through the second set. The Portuguese umpire gave the game penalty after a verbal confrontation with Williams in which she called him a "thief." It was a moment that turned the match and a controversy that put something of a dampener on Osaka's win as boos rained down on the court from the partisan Flushing Meadows crowd. But Osaka maintained her noncommittal attitude toward the incident, saying "I don't feel sad (about it) because I wouldn't even know what to expect to feel, since it was my first (Grand Slam) final and first Grand Slam victory." "Overall, I feel really happy and I know that I accomplished a lot. I don't think I even thought about feeling sad because there is no experience for me to draw on any other Grand Slam final win." This year, Osaka has jumped 61 spots in the women's singles rankings to a career-high world No. 7. She claimed her first tour title at Indian Wells in March, and just days later beat Williams in their first meeting at the Miami Open. Osaka said she is still getting used to her new role as a Japanese tennis superstar, but is conscious of being at the forefront of the sport in the country. "I started thinking about it at the beginning of this year, after I did well in Australia. And then, of course, after Indian Wells, it made me think harder about it," Osaka said. "While I was playing the U.S. Open, and Kei (Nishikori) was doing well, and they were saying that it was the first time there were two Japanese semifinalists together (in the Grand Slam singles), I was definitely thinking about if little kids were watching and wanted to play tennis, too." Osaka said she hopes to join the 28-year-old Nishikori, who made a semifinal run in the U.S. Open men's singles but was knocked out by his Serbian nemesis Novak Djokovic, in inspiring the next generation of Japanese tennis talent. "I've always thought that Kei is a super good role model on the men's side, and I wish that there was one on the women's side, so hopefully I can be that." But with her typical dry wit, Osaka quickly downplayed the responsibility and said her advice to young players is to "just have fun." "Tennis is a game, and I mean, always try your best, but don't look up to me because I don't want that responsibility," a laughing Osaka said. Despite being exhausted from running the media gauntlet, Osaka said she will now focus on getting to the eight-player WTA Finals in Singapore starting Oct. 21. She is currently fourth in the Race to Singapore standings. "I think for this year, my immediate goal is to get to Singapore, and of course do well at (the upcoming Pan Pacific Open)," Osaka said. "And maybe, year-end, top five -- but I'm not putting pressure on myself." Osaka is scheduled to play at the Pan Pacific Open starting Monday in Tokyo, her first tournament since her U.S. Open triumph. Meanwhile, Nissan Motor Co. said Thursday it has appointed Osaka as the automaker's brand ambassador. 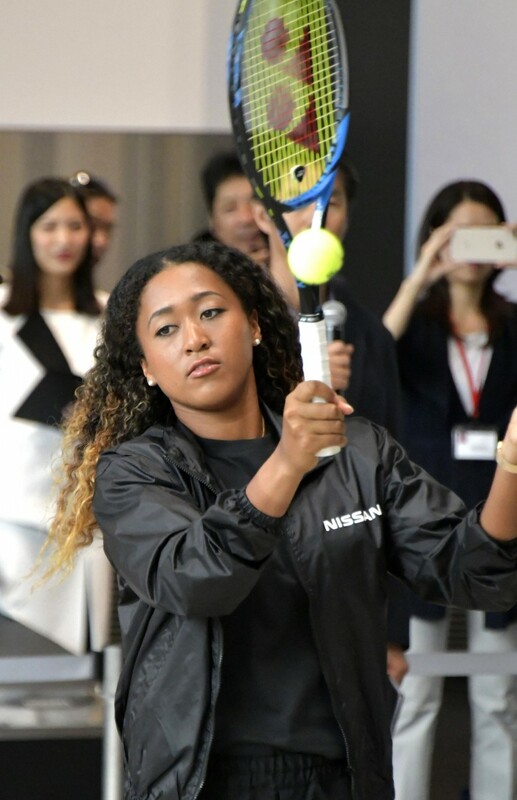 "Growing up, my dad drove a Nissan, so being able to be a brand ambassador now, it feels like I've come full circle," Osaka said at Nissan's headquarters in Yokohama. Osaka, who was given a Nissan Leaf electric car at a signing ceremony in becoming an ambassador, will appear in global promotions and advertising for the Japanese automaker, while the company will provide her with its vehicles at her tour destinations. "I haven't really driven an electric car so I'm looking forward to it," she said. Nissan Senior Vice President Asako Hoshino said, "Nissan and Osaka share the same spirit in trying to change the world and become a game changer." Osaka, known for her powerful serves, said her favorite Nissan car is the GT-R sports car because it is "fast." When asked if she is a wild driver, she acknowledged she once was but said "normally no" and vowed to be a safe driver.